Everyone rubs my nose for good luck! A scruffy yet lovable looking dog looks out over Edinburgh atop a granite fountain built in his honor. 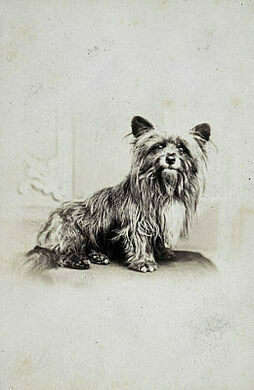 This little skye terrier known as Greyfriars Bobby was said to have stood vigil at his owner’s grave for 14 years after his death. 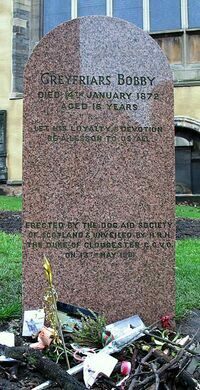 His dedication and loyalty became legendary, and when he finally died in January 1872, he was laid to rest in Greyfriars Kirkyard, not far from his owner’s grave. It’s a heartwarming story which has inspired numerous books, films, and even an episode of Futurama – but there’s a problem. It seems that the whole thing may have been a publicity stunt. In a recent book, author Jan Bondeson posits that the original Bobby was just a stray who found that by lingering around the churchyard he could get snacks from sympathetic visitors who assumed he was mourning the loss of his owner. Bondenson further suggests that the long life ascribed to Bobby (usually 16 years) can be explained by a mid-game substitution of a second dog, trained to stand vigil at the grave. 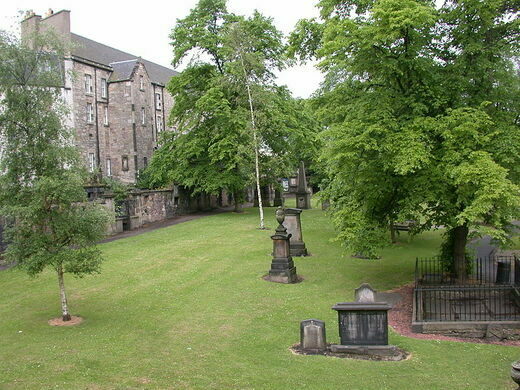 The author believes that the caretaker of the cemetery, James Brown, actively cultivated this myth because it brought in tourist dollars, even in Bobby’s lifetime, and earned him a bit in the way of tips and lunch-time consideration. If this is the case, then Brown’s little stunt is still paying off. To this day, thousands of tourists pay their respects at the fountain and the nearby tombstone, leaving dog toys, throwing sticks, and bringing treats for the loyalest of dogs. 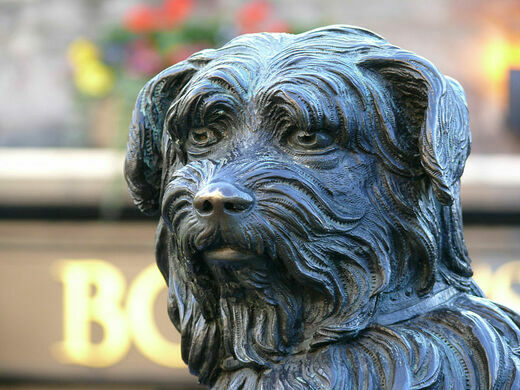 The statue to Greyfriars Bobby sits at the corner of Edinburgh's Candlemaker Row and George IV Bridge. There's even a pub behind the statue called Greyfriars Bobby's bar. This is a great area of bars and restaurants.